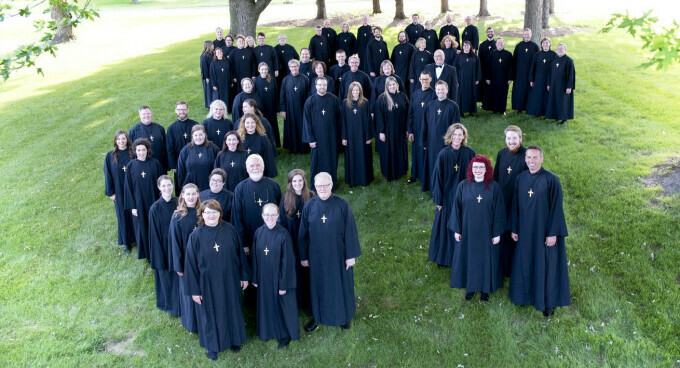 The National Lutheran Choir leads an evening of singing in commemoration of the 500th anniversary of the Reformation at 7:30 p.m. Friday, Sept. 29, at St. Mark’s Episcopal Cathedral in Seattle. The program is titled “Jesus Christ: Yesterday, Today and Forever,” and will feature early hymns and new works sung by the choir and audience under the direction of David Cherwien. The concert is free. A free-will offering will be sent to the Compass Housing Alliance. More information is at nlca.com. When Pentecost was celebrated, we heard how the disciples finally left that locked room. Thousands were baptized. People were swept up in the fire and wind and flame of the Spirit. But we are mistaken if we determine that event happened long ago without relevance for today. For the Holy Spirit continues to move and breathe as we move and breathe in the Spirit ... even in the twenty-first century, even here in the Pacific Northwest! As I write this, I am on my second day as assistant to the bishop. I also am selling my house, looking for a house, learning names and faces, absorbing facts and figures, and (as you all experience) driving in western Washington traffic. It is exciting and overwhelming all at the same time. I admit when I was approached about this position, I resisted. I was settled. I was happy with my call. I had a dentist and hair stylist and dog groomer. I was not considering a move to the west side. But as I talked with Bishop Unti and the rest of the staff, my excitement grew and I felt the Holy Spirit calling me to a new and different place. When I think back on my life, this is exactly how God invites me to new ventures. If someone had told me my Freshman year at PLU that I would become a pastor I would have laughed out loud. If someone had told me my first call would be on the Flathead Indian Reservation I would have shook my head in disbelief. If someone had said that I would live in Spokane for twenty years I would have said, "There's no way!" If someone had suggested I move out of Spokane after twenty years I would have said (and did), "But I'm comfortable." And yet ... that pesky (awesome!) Holy Spirit who, from the beginning of time, mixes and tosses and stirs, led me to this place to be in ministry with all of you. The Holy Spirit is moving and dancing ... in your lives, in your church, in your world. Unpredictable, fanciful, animated but never boring, the Spirit blows upon us, our church, our world as we move from the past into the unknown, as we come ever closer to the time when peace and justice reign, as we join together in the cosmic holy dance. I look forward to hearing how the Holy Spirit has called you into your vocations and callings, into new and different ministries. As we move into this future together we know that life is not always predictable, but in the midst of uncertainty, we are certain of God's love and grace through Jesus. We are certain that the Holy Spirit is leading, guiding, prodding, coaxing us into a new day. I would love to preach, teach, meet or whatever may help you and your congregation. I look forward to our journey together.